Yet another amazing pair of glasses - I went for the light tortoiseshell version and they are super cool, prescription is spot on and very comfortable to wear. I think they look much better in real life than in photo and my partner loves them too! They do take a couple of weeks to arrive, but amazing value and top quality! I got these frames as they are almost the same as a previous pair I had had, but a much cheaper option. When they arrives they seemed a bit flimsy, but fitted well and were very comfortable. 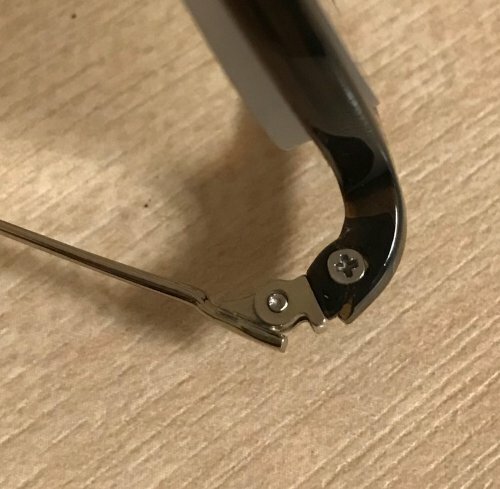 However, two months into wearing them (occasionally) the plastic on the front of the frames has begun to crack around the screw fitting. This has made them more unstable and they will not stay put. Although cheaper frames may seem appealing, when the lens specifications you require are three times the cost of the frames its best not to take the risk that you will be stuck with unwearable glasses. Hi Alice, sorry to hear about this, please contact our customer services team via our website or email ([email protected]) and they will be able to organise a resolution for you as this will still be under warranty. Thank you. Astonishingly good service and product..... couldn't help but be apprehensive intially but fears dispelled when specs received and used..... thanks a lot.